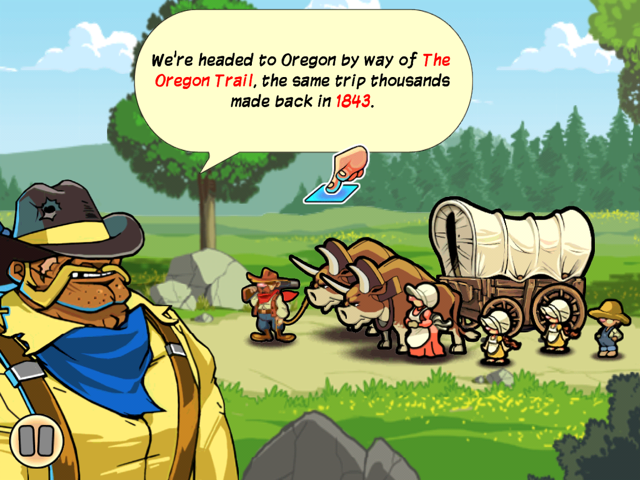 The Oregon Trail, a classic decision making pioneer adventure game that many Apple techies grew up playing in the 1980s on an Apple II, is now available for the iPad. The old monochrome game with uppercase letters and bare graphics has been transformed into a refreshing graphical experience for the iPad. 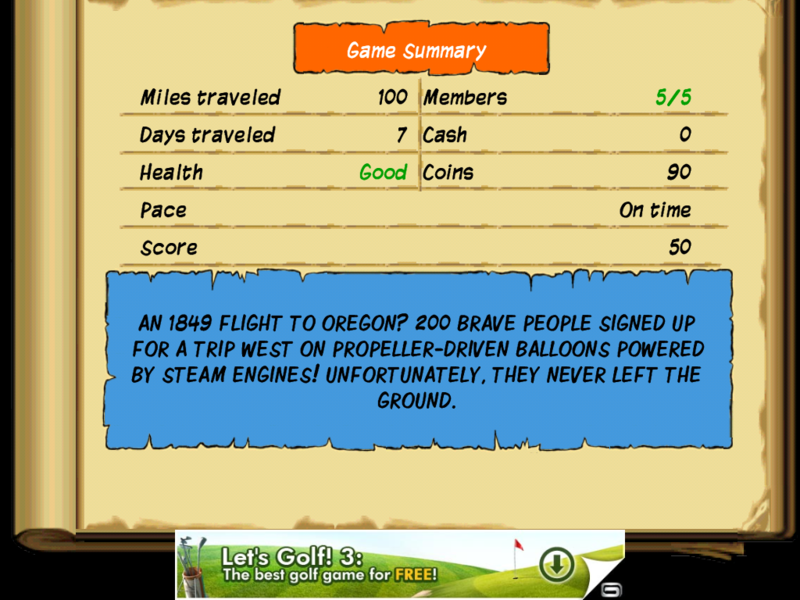 The Oregon Trail has been available for the iPhone, but now the game has been optimized for the iPad. 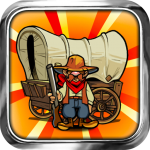 Relive the history of the pioneer days and move your family west on the Oregon Trail. 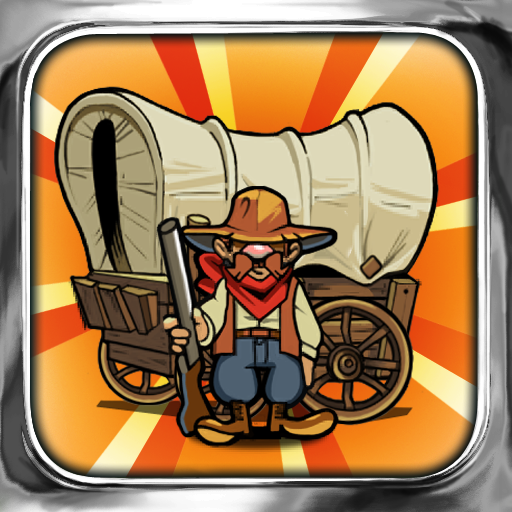 Load up your wagon with food, clothing, guns and bullets. 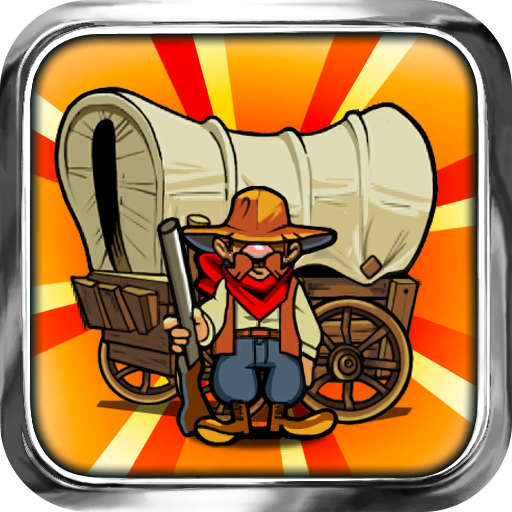 Along the way, make quick decisions, hunt for food, play mini games to earn goods and navigate obstacles such as weather, river crossings, wagon breakdowns and poor health. Not only is The Oregon Trail an enjoyable game, it also has educational elements. Historical facts about the period are provided throughout the game. The gameplay shows how the early American pioneers took risks and faced hardship in order to provide a better life for their families. In order to succeed in the game, you'll need to make the right decisions, use resources wisely and get everyone safely to Oregon. 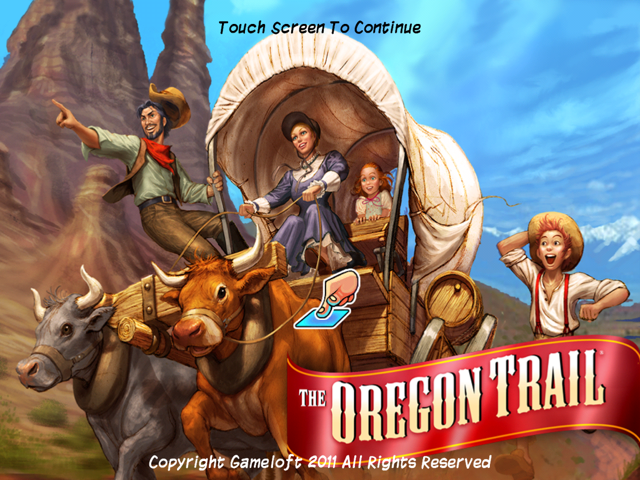 If it has been awhile since you played The Oregon Trail, you are in for a treat with this new $0.99 version by Gameloft. If you have tried it, let us know what you think of this classic adventure for the iPad.